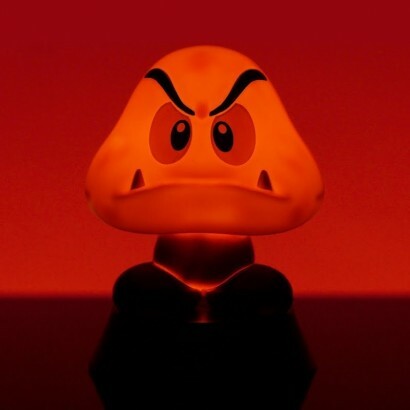 The armless waddling villain from the Super Mario games, the Goomba is the iconic enemy most frequently encountered by hero Mario as he jumps through world's to save the day. 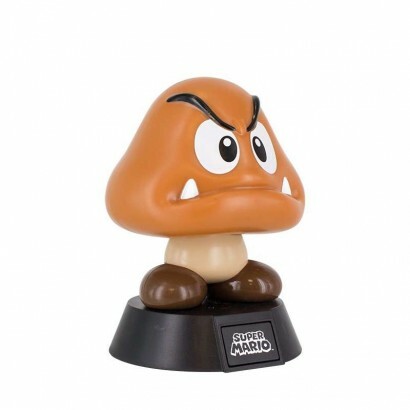 A fun little light for desktops and bedsides, this retro gaming character is lit by three white LEDs that illuminate the head of the angry looking mushroom to shine with a gentle glow. 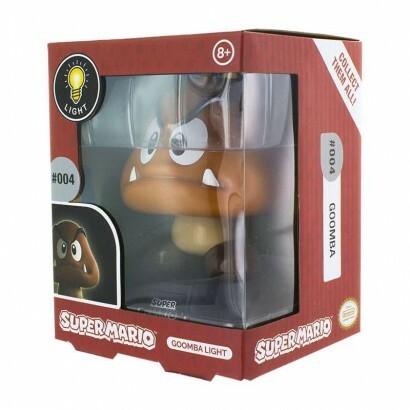 Battery operated, this iconic character light is ideal for gaming enthusiasts and kids alike.